Comedians Jonnie W. and Brian Bates join us today to talk about the differences and similarities between church, corporate and comedy club gigs. We each primarily perform in a different environment. Jonnie plays mostly in churches, Brian is comedy clubs and I’m usually off at a corporate event. In clubs there are “A” rooms, “B” rooms, etc., but is that true for the other niches? We dig in and talk about it. Can a “B” room improved not an “A” room? Can a “B” slip into a “C”? We also talk about what our ideal audience and set up would be like. Reasons why women are so great! Before you go anywhere else, visit the fellas online! 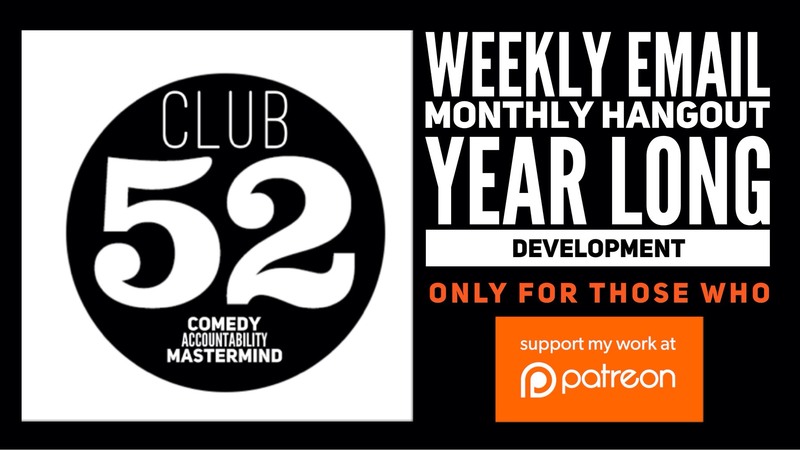 This episode is brought to you by Patreon supporter Greg Smrdel and by CLUB 52.